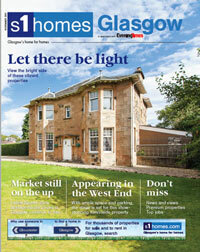 At s1homes we don’t think buying a property should be a headache. That’s why we make it as simple as possible for you – including explaining things such as the Home Report. 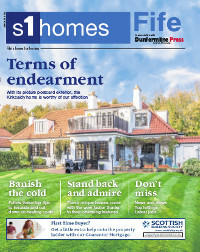 If you’re selling a property in Scotland, the law requires you to provide this document, which presents a comprehensive picture of the property to all potential buyers. So here’s everything you need to know . . . with no jargon, we promise! 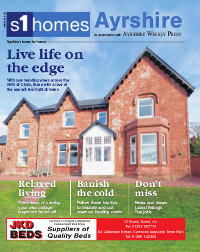 Home Reports focus on three areas of interest: a single survey, an energy report and a property questionnaire. The single survey is an assessment of the general condition of the property and includes a valuation and an opinion on accessibility. The energy report details the energy efficiency rating of the property – the higher the rating, the more efficient the property. The questionnaire outlines key information, such as the council tax band, any parking restrictions, alterations to the property and ongoing expenses such as factoring costs. Sellers who use an estate agent can breathe a sigh of relief – they can compile the Home Report on your behalf. If you’re selling privately, it’s your responsibility to arrange this independently. You’ll need to contact a registered Chartered Surveyor. The cost can vary, although typically sellers should be looking at a price of £400 to £700, depending on the size and value of the property. Home Reports have to be current and each document should have been prepared no longer than 12 weeks before you decide to sell. Thankfully, they don’t have expiry dates, so you don’t need to update them. However, if your property has been on the market for a while and has undergone any big changes since you ordered the report, you may wish to conduct a new one in the interests of full transparency. Unless your property meets the criteria for exemption, it’s legally necessary to provide a Home Report. Failure to do so can result in a fine of up to £500. Ouch! If an interested party requests a Report, you have nine days to deliver the goods. In certain circumstances, you’re within your rights to refuse – for example, if you don’t want to sell your home to a particular person or you believe they’re not sufficiently interested. No one wants to think their Report will raise any major red flags but unfortunately this can happen. If issues are identified, try to address these quickly. While technically you’re not required to do so, remember you’re selling bricks and mortar not a pair of shoes. Fixing issues straight away will ensure your property retains or even increases in value. If you need more detailed information on obtaining a home report, and all the small print, check out the Scottish government website. 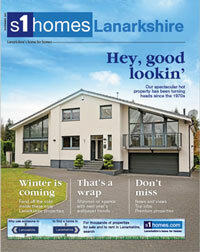 Meantime, if you’re looking for the best property portal in Scotland, s1homes is the place to be. This entry was posted on Monday, October 1st, 2018 at 2:19 pm and is filed under Advice, Buying, Property advice, Selling. You can follow any responses to this entry through the RSS 2.0 feed. Responses are currently closed, but you can trackback from your own site.